Centurion is one of Gauteng’s most popular residential areas, thanks to its convenient location and incredible quality of life. Far enough away to feel more relaxed than big city living, Centurion is also close enough to the commercial hubs to ensure you have an easy commute. Within the larger Centurion region, thousands of family have made several gated estates their home. And the demand for more homes in Centurion is growing. Centurion’s convenient location is half the reason why so many businesspeople, families, and singletons, call this region home. But it’s not just the convenient location that makes this an in-demand property hotspot: it’s the lifestyle too. Part of this picturesque lifestyle begins in the gated estates. You’ll find Midstream Estate situated in Centurion East, conveniently close to everywhere you need to be. But, thanks to the exceptional facilities and magnificent living spaces, you may not need to leave the estate very much. Home to more than 5000 families, Midstream Estate offers your family almost everything it needs, without having to drive beyond the gates. With recreational, sports, leisure, and entertainment facilities right on your doorstep, it’s easy to believe that you don’t need to leave the estate for much! Education is a key priority here. Midstream College is an independent school, that was originally the brainchild of the developers too. Now catering for children of all ages and grades, Midstream College’s educational facilities are top-notch and child-centred. For your little ones, there are fabulous daycare and preschool facilities. You don’t need to go far to pick up your daily groceries too, as a shopping centre is situated within the estate boundaries. If you don’t feel like cooking dinner, it doesn’t matter: there are 5 wonderful restaurants located within the estate, well-equipped to cater for even the pickiest eater’s palate. 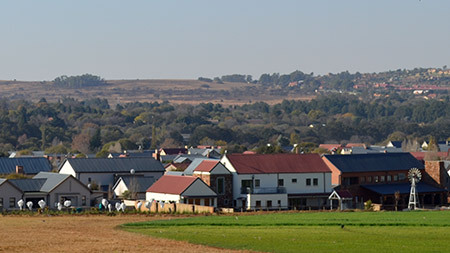 There are seven separate estates located within the larger Midstream Estate boundaries. Each of them offer a range of abodes that could be your family’s perfect home. Take your pick from luxury apartments, gorgeous townhouses, full title stand alone homes, or live large in one of the beautifully-appointed mansions. Across the six residential areas, homes are carefully built with your family’s needs in mind. And in the seventh residential area, a very special place exists. Retire @ Midstream is an exceptional retirement facility, that encourages an active lifestyle, and cares for your additional needs as you age. Comprehensive medical care and assisted living facilities form part of Retire @ Midstream’s offering, along with a wide range of leisure and recreational facilities. The benefits of living in Centurion speak for themselves, but there’s one big bonus we’ve not told you yet: it’s quite affordable to live there too! The median house price in Centurion Estate, where Midstream Estate is located is just R3million. If your perfect family home needs to be located within a Centurion estate or complex, you can take your pick from 3-bedroom houses, that’ll cost you just R1.4million to own. Read more: Use our handy Bond Calculator to see what your bond repayments will be. Centurion Mall boasts more than 260 stores and restaurants. Irene Village Mall is home to just over 90 specialty, luxury goods, boutique, budget, and grocery, stores. Mall @ Reds is the perfect spot for a little lunch on the piazza, after exploring their stores, or seeing a movie. 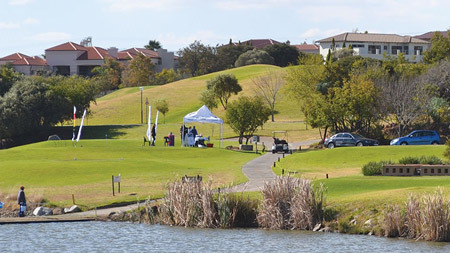 Fun for the kids in Centurion Irene Farm is the ideal family outing. Enjoy a lazy lunch on The Deck, and head over to the dairy farm to learn more about how their organic milk production line. Or, let the kids play while you enjoy something to eat at The Barn. Acrobranch Centurion is the ultimate outdoor fun, where your kids can explore the world with a unique tree-top adventure, or enjoy a mini-bungee experience. Taking a hike through Africa’s very first official nature reserve: Groenkloof Nature Reserve. You’re sure to spot giraffes, jackals, impala, and wildebeest, along the way. Hopping into the car for a 30-minute drive to Rietvlei Nature Reserve - a must for birdwatchers and game drive enthusiasts. Heading to Zwartkops Resort for a picnic and a day of play in the sunshine. If Centurion style living sounds like your style, then check out these Midstream Estate homes for sale right away. Your family’s perfect home is a click away.